Ben has misplaced his beloved black beeear – it’s probably been a month since we last saw it — so for his birthday, I ordered a look-alike bear from Amazon. 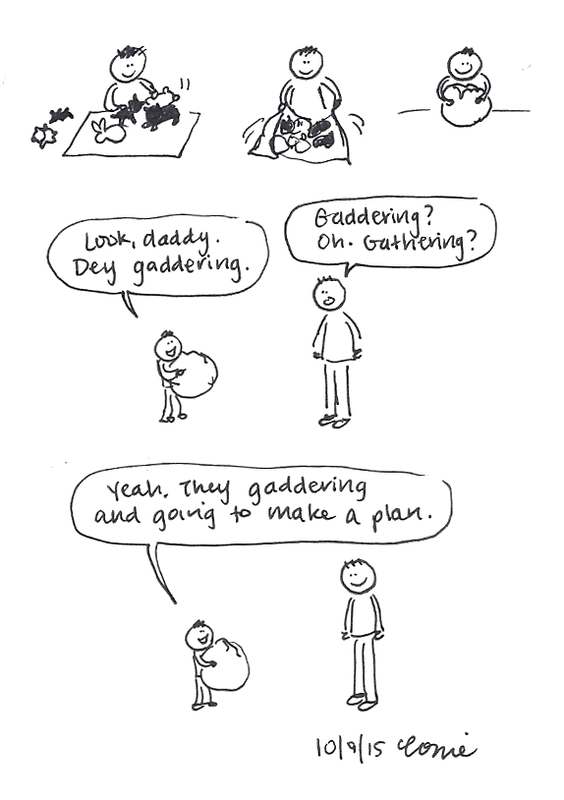 Unfortunately, when it arrived, it was a teeny tiny bear!! So I ordered a larger black bear from Amazon and saved it for his birthday. 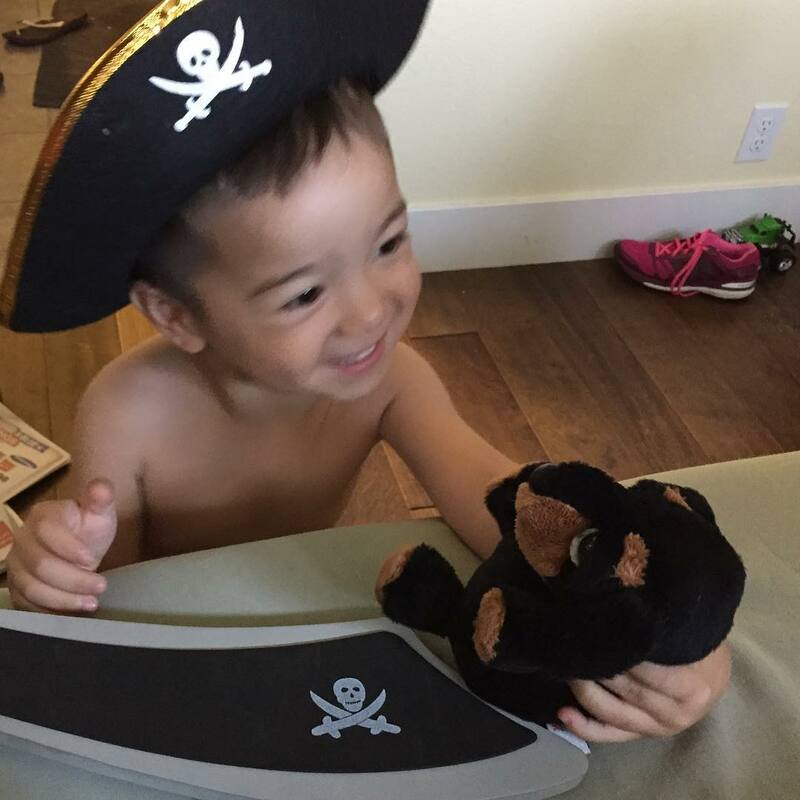 During his early birthday party, one of our good friends got Benjamin a small stuffed black-and-brown dog. 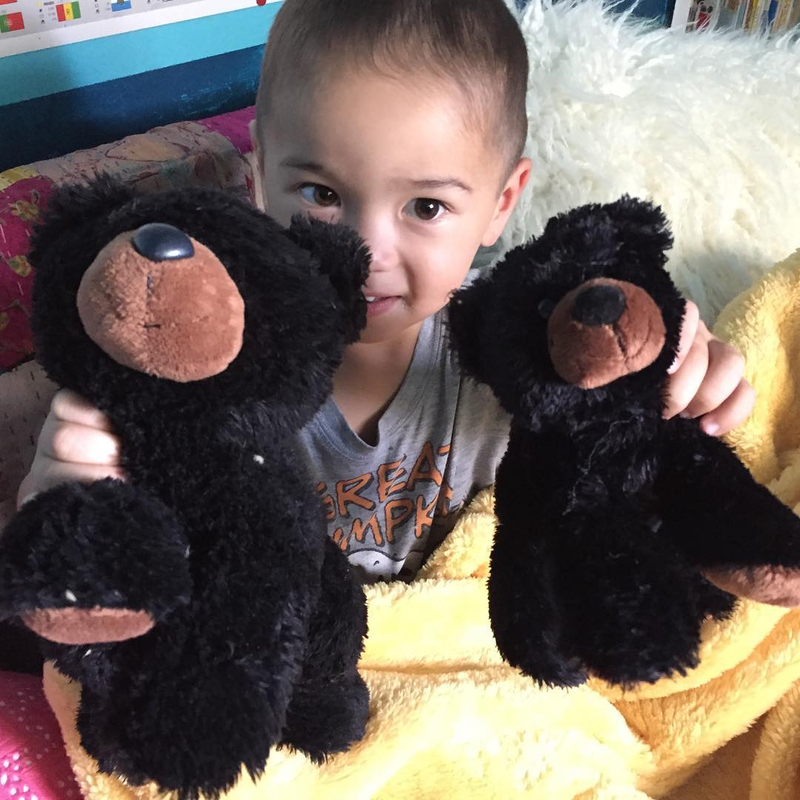 On his actual birthday, he got the new black bear, and yesterday, I found the small black bear and gave it to him, too. 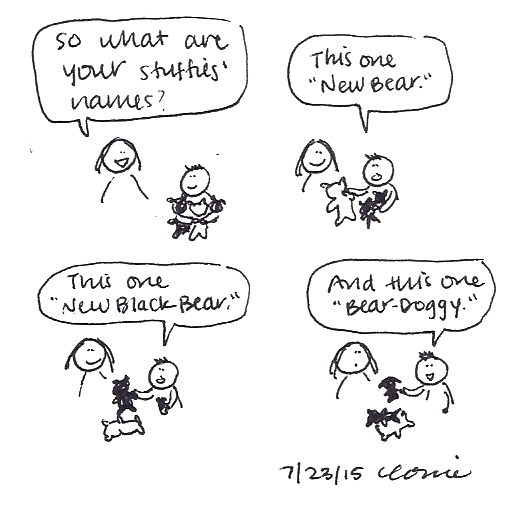 I’ll have to draw a new comic later depicting “Small Black Bear” – or as Ben says, “Mall Black Bear” – as this comic only reflects two of the three new stuffies (“New Bear” is the newer stuffed bear that Benjamin had last time he misplaced his black bear). Below are pictures of Bear Doggy, New Black Bear, and Small Black Bear.